Every part of our body requires blood, which flows out from the heart and then back into the heart. When there is an interruption in blood flow, it can lead to some negative health consequences. One major organ to point out which requires much blood flow is the brain. Our brains are so advanced that we don’t even need the time to stop and think about performing an action – we simply do it. But when blood flow becomes interrupted, or a blood vessel bursts, this can lead to a stroke. There are two common types of stroke: ischemic – which involves an interruption of blood flow (for example due to a blood clot), and hemorrhagic – which occurs when a vessel bursts. Depending on which area is affected when blood flow is lost in the brain, stroke can lead to temporary or even life-long changes . In some people, it may affect vision, while others become speech impaired. Although there is a long list of the consequences of stroke, we will be focusing specifically on memory loss. Memory loss may occur after stroke because the nerve cells get damaged. Statistics estimate that one-third of stroke survivors experience memory loss. Short-term memory loss is common if the left side of the brain is affected. If the right side of the brain is harmed, then patients may have difficulty putting things in order, be confused, or misinterpret information. 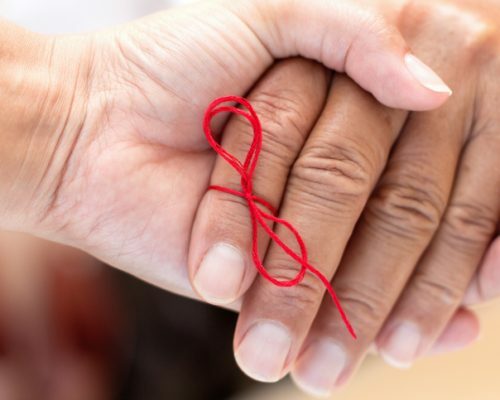 Memory loss can greatly affect a person’s daily life, but there are tips and tactics you can try to help improve your memory and continue functioning on a daily basis. Keep your brain stimulated – Partake in thinking games like checkers or crosswords. Work with a specialist – If speech was impaired , working with a speech-therapist can also help boost memory. Post reminders – Leave notes around the house to set reminders for yourself (in the bathroom to brush your teeth, for example). Creating a routine can help re-establish memory. Make up mnemonics – Mnemonics are creative ways to remember things, and you may have used acronyms or rhymes to study for a test while in school. An example is F.A.S.T. when spotting a stroke: Face, Arms, Speech, Time. Making up rhymes, songs, or acronyms can help boost memory. Get organized – Organization can help you get through your day more easily. Clutter may cause more confusion and brain fog; making sure everything has a place or is set up for easy use can make boosting memory easier. Repeat and rehearse – Repetition can really help make new things stick. If you learn a person’s name, repeat it to yourself a few times, or repeat it back to the person. Additionally, don’t be shy about rehearsing anything you have upcoming before you present it. Even if you have to step away to the bathroom and come back, that’s okay, too. Exercise – Exercise and physical activity can promote memory and conflict resolution, according to a small study on stroke survivors. Published in the International Neurology Journal, the study found that exercise can help repair the brain after stroke. Memory-friendly diet – You can eat to boost memory and brain health as well. You may have heard of the MIND diet (Mediterranean-DASH Intervention for Neurodegenerative Delay), which uses a combination of diets to boost brain function. It consists of monounsaturated fat (good fat), omega-3, and plenty of fruits and vegetables. In studies, the MIND diet has been shown to slow down cognitive decline. Association – To remember something new in the long term, it’s easier to recall if you associate it with something familiar. For example, if a friend’s birthday is November 25, you can help remember by noting that it’s exactly one month before Christmas. Association can be done in numerous ways. The trick is finding associations that are easiest for you to recall. Other tricks involve turning important dates into time or prices. For example, September 29 can be remembered as $9.29 or 9:29 a.m.
Visualization – If you’re having difficulty remembering, try to visualize it instead. Maybe the words have escaped you, but if you can picture what you need to recall you can better remember it. By taking a visual memo, like visualizing yourself walking into a store and leaving with milk, you can recall the image again later when you’re at the store trying to remember what you need to buy. Also, unusual images are remembered more than common ones, so try visualizing images as oversized or in different colors. Compensation – Lastly, once you’ve visualized and spoken words to help you remember, you can also go back to using the old-fashioned, but tried and true, pen and paper. Writing things down can be quite helpful for future memory recall. You can have a notebook divided into three parts: reference material like names and numbers, to-do list, and notes to remember later on, like ‘Jack’s new dog’s name is Fluffy’. In a study published in Neurology, researchers observed cognitive ability in 335 seniors with no prior memory problems, stroke or major brain disease. The subjects were followed on average for 10 years. During the follow-up mild cognitive impairment was seen in the subjects – and three of them had experienced a stroke. Of those who had a stroke, two-thirds also developed dementia within the first year. They, too, had minor cognitive impairment prior to the stroke. Among those who did not have a stroke, cognitive decline was still seen over the course of the study. Strokes occur in 795,000 Americans annually, according to the Centers for Disease Control and Prevention. Memory loss can affect all of us, especially through aging. Now that you have the tools and tips to prevent memory loss as well as stroke, you can begin to work on maintaining a healthy lifestyle.